The mission of L.I.F.E. In Alaska is to provide a safe, productive and meaningful environment for people with disabilities in a 'whole life' Alaskan setting while striving to meet each individual's plan of care to maximize their potential. The Vision of L.I.F.E. in Alaska is that every child and adult with special needs grow to reach their full potential. Using a multi-level approach, we intend to meet full-life goals for the permanently disabled to include behavioral health advocacy for life-long transitional services, while supporting quality of life and self-determination, through building community support for transitional adults with disabilities. Living Independence For Everyone (or L.I.F.E.) 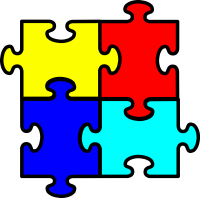 in Alaska was formed in 2013 to meet the challenges of the autism epidemic in our country and initially, the needs of known individuals with autism or multiple disabilities in the Ketchikan Borough, Ketchikan, Alaska who would soon be “aging-out” of the public school system. It received it’s 501 (c)(3) exception status as a public charity in 2014, retroactive to May, 2013. After strategic planning for the formation of a public charity and policy development for the organization, awareness and fundraising activities commenced. Relationship - Strong, safe and lasting relationships are necessary for us to fulfill our mission. This includes our relationships with each other, our residents and their families, as well as everyone in support of what we do. Uniqueness - We recognize every person has life experiences which have developed their own unique character, personality, and abilities. We strive to approach every individual with respect for the differences within all of us. Dignity - We model respect for persons - not who they are or what they do. We recognize a broad spectrum of human differences that deserve to be treated with dignity. Happiness - The need to find joy in the people and things that surround us is required for a full and rich life. We believe that everyone deserves the happiness that can be gained through learning, playing, laughing and being in the right place with the right people. Potential - Each of us possesses capacities which can be brought to fruition if provided the opportunity to develop. We believe every individual deserves the resources and encouragement necessary to reach their full potential. With a breadth of experience parenting, teaching and working with special needs children and young adults and with proven experience in non-profit and the business sector, the L.I.F.E. Board of Directors are ready to make independent living for young adults with special needs, a reality in Alaska. L.I.F.E. in Alaska is currently seeking startup funds to accomplish its stated goals. All funds will be directed to awareness and outreach activities as well as to the preliminary acquisition of property for a therapeutic “whole-life” community. This will also allow for short-term Alaskan experiences for individuals with disabilities. Once start-up is completed, Medicaid, grants and other funding sources will provide the necessary resources for regular operations.